Bluegreen Wilderness Club at Big CedarÂ captures the essence of Table Rock Lake's tranquil setting and the natural beauty of the Ozarks. 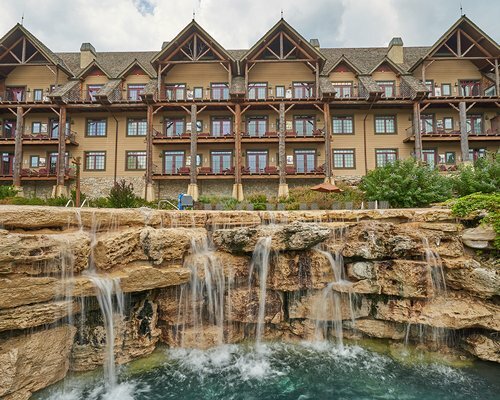 Overlooking the lake, the resort's architecture was inspired by the grand wilderness lodges of the Adirondacks. 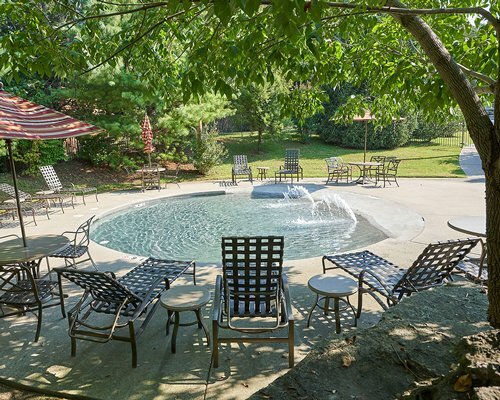 Guests can indulge in a luxurious spa, four fabulous restaurants, and amenities as spectacular as the great outdoors. 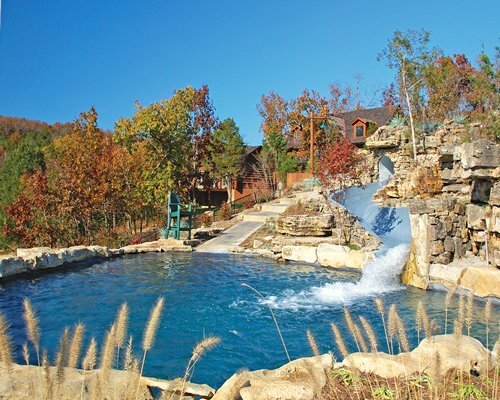 The resort's most unique attribute is its Lazy River water feature, complete with caves, rock grottos, waterfall, and giant water slide. Kids will also enjoy the playground, rock climbing wall, and game room. 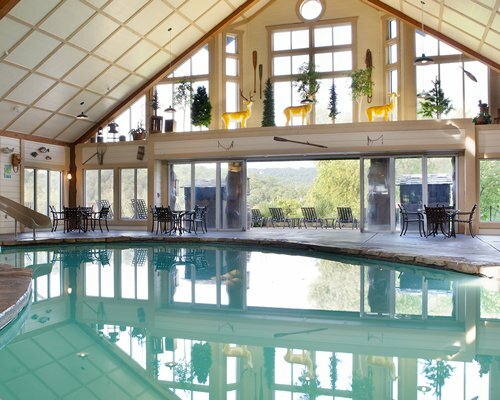 Guests can enjoy all the amenities at the adjacent Big Cedar Lodge, including the riding stables, marina, fitness center, heated pools, spa, a Jack Nicklaus signature golf course, water sports, fishing, and hiking trails. For your convenience, the resort provides a concierge, laundry facilities, barbeque grills, internet access, grocery store, and business center. 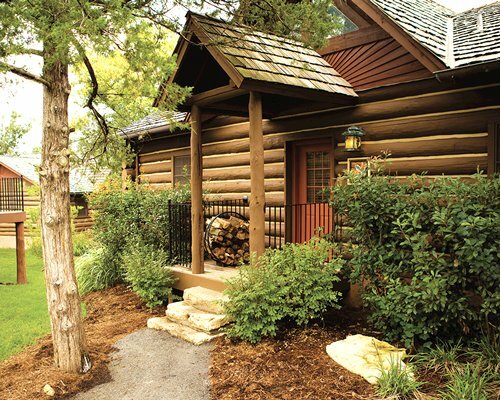 Mountain retreat meets modern amenities in Bluegreen Wilderness Club's comfortable log cabins and lodge units, all with a view of the lake or woods. 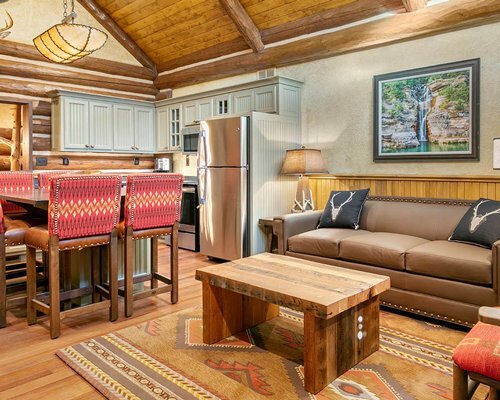 Each unit has been thoughtfully decorated to reflect the homespun style of the Ozarks. Choose a studio that sleeps 4 people, or a one-, two-, or three-bedroom unit that can accommodate 4 to 8 people. Each spacious cabin has vaulted ceilings, a fireplace, whirlpool bath, area rugs,Â and a 350-square-foot deck with gas grill. 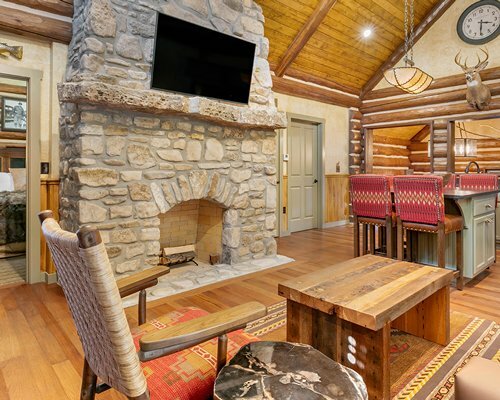 Lodge units feature wood-plankÂ floors,Â spa-sized tubs (except in studios), patios, hickory sapling furniture, and mountings of trophy bucks and game birds. Some also include aÂ cozy fireplace with a split log mantle. 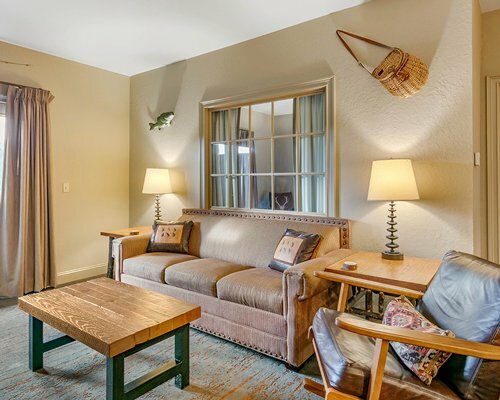 All units feature telephone, television, full kitchen or kitchenette, air conditioning, and dishwasher. Some also feature a washer and dryer. 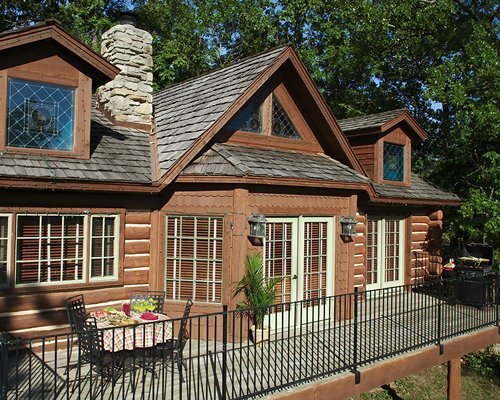 Escape to Missouri's famed Table Rock Lake area in the heart of the Ozark Mountains and you'll find an extraordinary retreat filled with marvelous fishing, breathtaking scenery, and abundant wildlife. With something for the whole family, the Table Rock region offers boating, scuba diving, water sports, golf, tennis, restaurants, shopping, and plenty of entertainment. Enjoy miles of forest wilderness by foot, bicycle, or horseback at Dogwood Canyon Nature Park. The region boasts some of the world's most unique attractions, including the Table Rock Lake Butterfly Palace, Marvel Cave, and the Talking Rocks Cavern. Visit nearby Branson where you can enjoy shopping, spectacular shows, and the exciting Silver Dollar City amusement park.